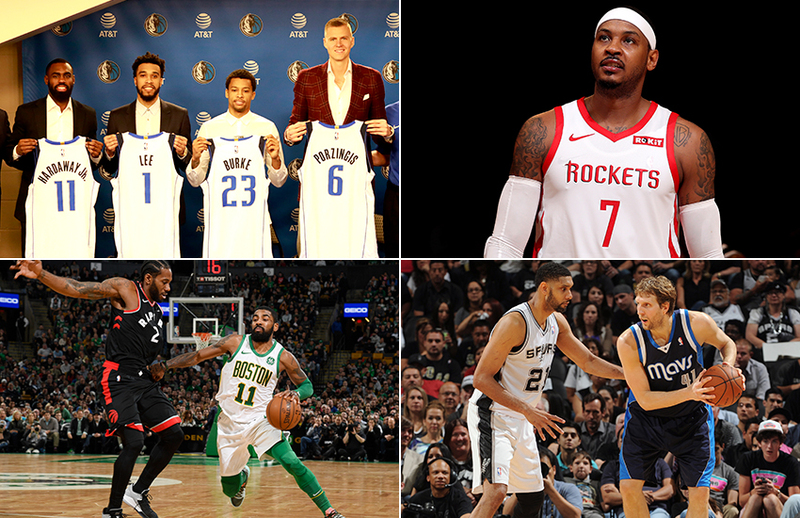 We ranked all the traded players this past week—omitting the waived players along with the players being bought out from their contracts. 1. 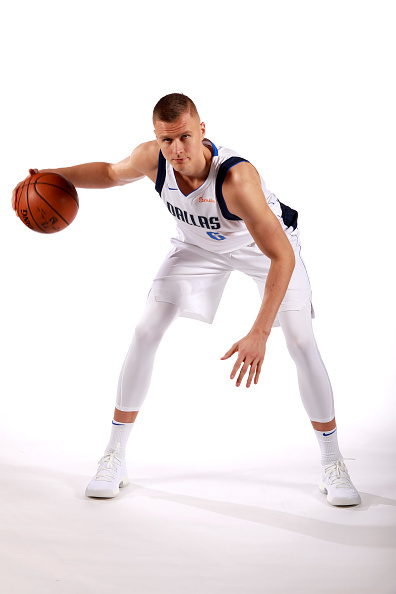 Kristaps Porzingis, Dallas Mavericks power forward: The summer restricted free agent was on his way to All-Star status when the he was sidelined a year ago with a torn ACL. If the 23-year-old returns to All-Star form, the Mavs are a strong team of the future, led by both Porzingis and teen sensation Luka Doncic. 2. Otto Porter, Chicago Bulls forward: Chicago may be spending big on Porter, but at least the Bulls now have a good player on their team, instead of merely loading up on good prospects. 3. DeAndre Jordan, New York Knicks center: D.J. is the type of rim-running, rim-protecting center that can attract elite talent when Free Agent Summer 5K opens (KD, Kawhi, Kyrie, Kemba, Klay). Jordan is already off to a nice start, collecting 20 points and 20 rebounds in 54 minutes in his first two games as a Knick. 4. Marc Gasol, Toronto Raptors center: Toronto’s tall-tree triumvirate of Gasol, Serge Ibaka and Pascal Siakam is tough to top. 5. Ivica Zubac, Los Angeles Clippers center: Not only does Zubac become a starting center on L.A.’s other team, but the Clippers now can re-sign Zu this summer and still sign two max free agents, thanks to the 21-year-old’s minimal cap hold. 6. Tobias Harris, Philadelphia 76ers power forward: Harris gives the Sixers exactly what they need—a scoring stretch four who can really stroke the three-point shot. 7. Jonas Valanciunas, Memphis Grizzlies center: J.V. will go back to being treated like a varsity center once he starts alongside fellow big Jaren Jackson Jr.
8. 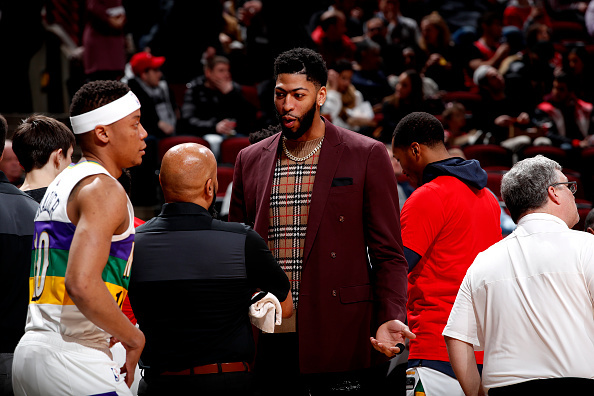 Nikola Mirotic, Milwaukee Bucks power forward: Mirotic gave Anthony Davis so much space to work with in the 2018 NBA Playoffs, and he will replicate the feat for Giannis Antetokoumpo in the 2019 NBA Playoffs. 9. Tyler Johnson, Phoenix Suns point guard: Finally, the Suns have a point guard and Johnson, who has gone from Fresno State to Miami to Phoenix, has a starting role in the sun again. 10. Landry Shamet, Los Angeles Clippers shooting guard: Shamet will take what he learned from J.J. Redick in Philly and try to repeat the feat in the house where Redick once roamed. 11. Wilson Chandler, Los Angeles Clippers small forward: Chandler may not be as good as Harris, but he is as good a replacement as you can find at his contract value. 12. 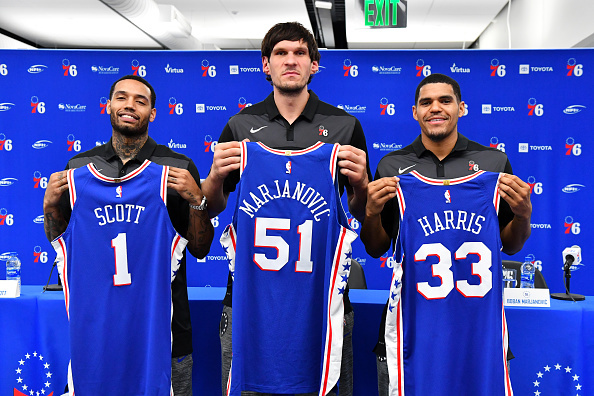 Boban Marjanovic, Philadelphia 76ers center: The NBA’s greatest 10 minutes-per-game player ever will fit in just nicely as the giant backing up the giant Joel Embiid. 13. 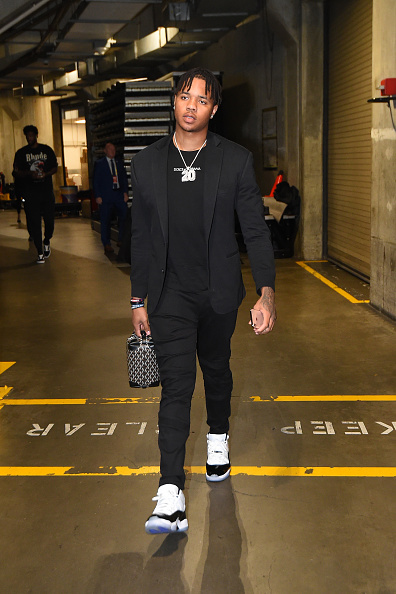 Markelle Fultz, Orlando Magic guard: Coach Steve Clifford is the perfect coach to mentor a young talented guard whose potential is as potent as this 20-year-old prospect. 14. Bobby Portis, Washington Wizards power forward: The Wizards traded away Otto Porter and Markieff Morris because they believe newcomer Trevor Ariza and Portis can eventually replace them. 15. Skal Labissiere, Portland Trail Blazers forward-center: It is understandable that Labissiere could not get the playing time behind Willie Cauley-Stein, Marvin Bagley and Nemanja Bjelica. But he was a good reserve in three seasons–and 1965 minutes there–and is still developing as a talented big. 16. Trey Burke, Dallas Mavericks point guard: Burke had a career resurgence of sorts in New York, so expect him to extend his game even further in Dallas. 17. Reggie Bullock, Los Angeles Lakers wing: The Lakers need shooters so Bullock is going to get plenty of opportunities as a 2 guard off the bench. 18. Mike Muscala, Los Angeles Lakers forward-center: See above. LeBron’s Lakers also need a stretch center who can hit 3s, and that is something Muscala does much better than non-shooters JaVale McGee and Tyson Chandler. 19. Harrison Barnes, Sacramento Kings forward: He may not be worth the $25 million option that he could command this summer, but Barnes is an upgrade to any other small forward they’ve had in recent years. 20. Jabari Parker, Washington Wizards forward: Parker has not become all that he can be, but he will get more chances in Washington, playing alongside fellow forwards Ariza and Portis, a former teammate in Chicago. 21. Rodney Hood, Portland Trail Blazers small forward: Portland had trouble plugging the small forward gap, so Hood will get plenty of opportunities to regain his Utah Jazz form at that post. On Thursday, Hood scored 14 points in 25 minutes off the bench in his Trail Blazers debut. 22. Delon Wright, Memphis Grizzlies guard: Wright will try to bring the old Toronto Raptors bench mentality to a town known for its Grit-’n-Grind. 23. 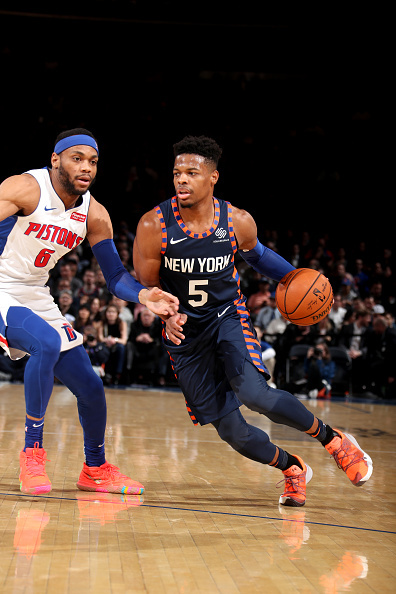 Dennis Smith, Jr., New York Knicks point guard: The Knicks have salvaged the careers of former cast-off point guards such as Emmanuel Mudiay and the departed Trey Burke. Now they aim to do the same for Smith, who has been made an immediate starter in his first two games as a Knick. 24. Justin Jackson, Dallas Mavericks wing: Jackson steadily improved in Sacramento, so do not be surprised one day if he develops into a top Mavs reserve one day. 25. 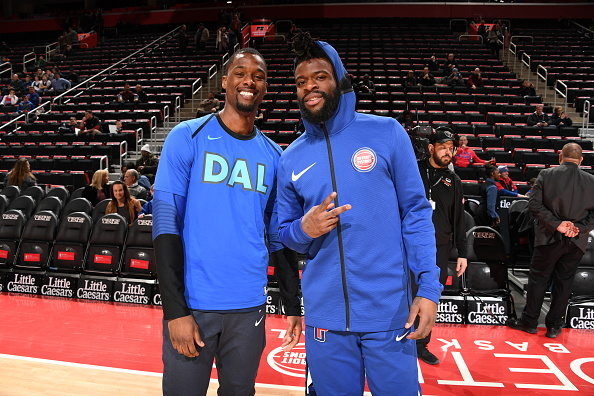 Tim Hardaway, Jr., Dallas Mavericks wing: Hardaway is used to starting after his stay in New York, but his best role in Dallas will be as instant offense off the bench. He is already readily accepting the responsibility, scoring 12 points in his Dallas debut Wednesday while casting up 16 shots in 26 minutes off the bench. 26. Mike Scott, Philadelphia 76ers power forward: Harris and Butler will take up most of the forward minutes, but Scott can provide the stretch and muscle to relieve the starters for five minute stretches a few times a game. 27. C.J. Miles, Memphis Grizzlies wing: Mempis’ bench needed some upgrading and Miles did exactly that in Toronto, Indiana, Cleveland and Utah. 28. Ryan Anderson, Miami Heat power forward: Miami is hoping their new stretch 4 can find his 2016-17 Rockets’ former self. 29. Iman Shumpert, Houston Rockets wing: Houston is in need of some lockdown defenders and Shumpert has the résumé for that. 30. Alec Burks, Sacramento Kings wing: After playing without small forwards for years, the Kings went out and landed Burks and Barnes. 31. Michael Beasley, Los Angeles Clippers power forward: Beasley seldom gets his number called, but he has mostly been at the ready and performed quite well as a Laker. 32. Greg Monroe, Brooklyn Nets forward-center: Toronto was happy to get a second-round pick for their big man whose role has declined in recent years. 33. Tyler Dorsey, Memphis Grizzlies shooting guard: Dorsey is a 3-and-D prospect whose three-point shot has gone missing this season. 34. 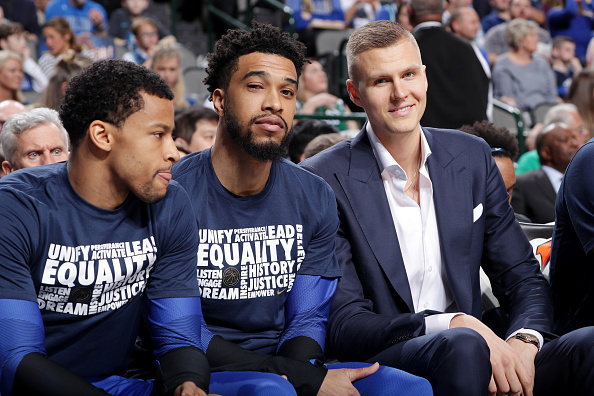 Courtney Lee, Dallas Mavericks shooting guard: The Knicks did not ask much of Lee in recent seasons, but do not be surprised if head coach Rick Carlisle finds a role for this veteran. 35. Svi Mykhailiuk, Detroit Pistons forward: The Pistons exchanged Bullock for the ex-Lakers shooter and picked up a second-round draft pick to boot. 36. Caleb Swanigan, Sacramento Kings power forward: Swanigan is a modern power forward in every sense of the world, and is simply having his problems adjusting to the NBA game as a 21-year-old prospect. 37. JaMychal Green, Los Angeles Clippers power forward: Green does have starting experience in Memphis, so Coach Doc Rivers will not be afraid to call his number if necessary. 38. Garrett Temple, Los Angeles Clippers wing: Temple-for-Bradley is essentially a trade-off of two men who do similar things for their teams. 39. Avery Bradley, Memphis Grizzlies wing: See above. Bradley could mesh well with Mike Conley, especially as a defensive duo. 40. Marquese Chriss, Cleveland Cavaliers power forward: Chriss has been given chances to develop as a big man in both Phoenix and Houston and now he is hoping the third time is the charm. 41. Wesley Johnson, Washington Wizards small forward: The 31-year-old is in the twilight of his playing career and is being brought over to Washington to play behind Ariza, Portis and Parker. 42. Jonathon Simmons, Philadelphia 76ers wing: The Sixers are hoping Simmons can regain his San Antonio Spurs form as a 3-and-D wing. 43. Timothe Luwawu-Cabarrot, Chicago Bulls wing: The longtime Sixers prospect goes yet to another team full of prospects. TLC got 9 points in 19 minutes in his Bulls debut Wednesday. 44. Brandon Knight, Cleveland Cavaliers point guard: Knight is hoping to get a fresh start in a place that insists on playing raw rookie Collin Sexton over Matthew Dellavedova, a veteran who would be playing more if the Cavs weren’t tanking. We are entering the gift-return phase of the holidays, when teams buy out the contracts they do not want, now that NBA Christmas—a.k.a. Trading Deadline—has come and gone. So NBA shoppers, without further adieu, here is your buyout bargain bin with contracts that can be purchased at minimal cost to playoff contenders. 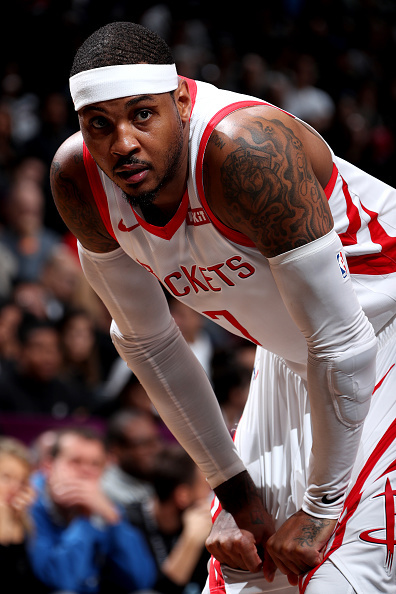 Carmelo Anthony, power forward: Melo was not a good fit in Houston’s no-long-2s offense, but he is still a good scorer as long as he gets to play his old-fashioned game. Expect the 34-year-old forward to sign with LeBron’s Lakers any day now, especially since they cleared a roster spot Thursday. Wayne Ellington, shooting guard: Who doesn’t need a 31-year-old reserve guard with career averages of 8 points in 21 minutes per game that makes 38 percent of his three-pointers? Robin Lopez, center: The defensive-minded Lopez is in the midst of buyout talks with Chicago and will start taking meetings with mascots shortly thereafter. Wesley Matthews, shooting guard: Matthews is negotiating his buyout with the Knicks, and word is that Indiana has the inside track on signing the Mavs’ 32-year-old starter. Enes Kanter, center: The Knicks were unable to trade Kanter’s big expiring contract, so now they must buy out one of the best offensive rebounders in the League. Markieff Morris, power forward: Morris has not been himself this season due to a mysterious neck injury. If he can get healthy by playoff time, Morris could be a nice addition. 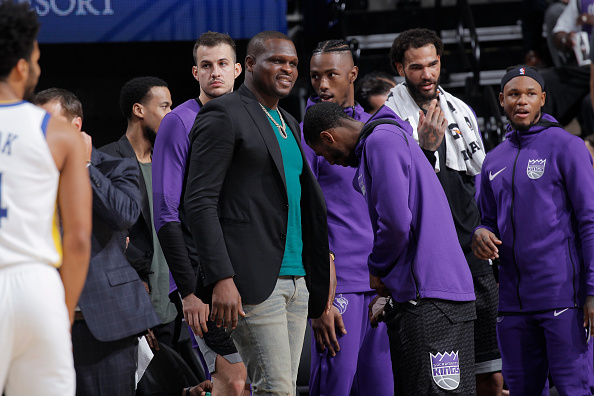 Zach Randolph, power forward: Randolph did not play a minute in his role as a Kings mentor this season, but the 37-year-old showed he still had some gas in the tank a year ago as a trusty Sacramento reserve. Shelvin Mack, guard: The combo guard is a fine pickup for anyone in need of a third-string guard, ranking well ahead of fellow buyout guards Ben McLemore, Nik Stauskas, Malachi Richardson and Wade Baldwin. Jabari Bird, wing: The shooting guard played well in his 115 minutes as a Celtics rookie, but he was waived this week by Boston because of a domestic violence incident. Confession: I am not a billionaire, but I do watch the Showtime hit series Billions. And it is with this privileged insight that I have come up with the solution to prevent players like Anthony Davis and Kawhi Leonard from dictating trade destinations while only 50 percent (in Kawhi’s case) or 75 percent (in Davis’ case) through their five-year contracts. My solution: eliminate the five-year contract at the next collective bargaining agreement in 2024. Shoot, why not go one step further, and eliminate the four-year contract, too. If superstars are going to renege on their deals and force owners to trade them before they have honored even half of their commitment, then those contracts should not be legal anyway. I have no problem when superstars like LeBron James and Kevin Durant sign two-year deals annually with one-year outs because those gentlemen are honoring their deals and fulfilling all contractual obligations. But to the NBA traitors (and you know who you are): you do not deserve five-year deals if you cannot do the time. Therefore, in the future, NBA owners should no longer give long-term deals. 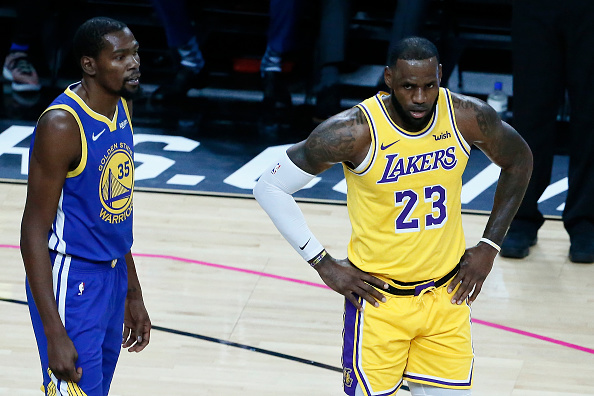 NBA superstars can still be empowered, as LeBron and KD have shown, forcing ownership to re-sign their friends and teammates in quest of winning more rings. I applaud them for making their owners pay up to field championship teams. We are merely putting this rule in place to weed out the players who seek to deceive ownership when they sign a deal: thinking they can pout to get out. Believe me, Bobby Axelrod would not take this crap from a multi-millionaire meddler and neither should NBA owners on behalf of their fans. We find out how much loyalty means to some players when we hear Anthony Davis did not want to be traded to Boston because his dad did not like how the Celtics discarded injured guard Isaiah Thomas after he laid his body on the line for the team at playoff time. Such is life in the modern NBA, when free agents take note how Blake Griffin and DeMar DeRozan were lied to when they signed long-term contracts after being told they would respectively be a Clipper and Raptor for life. Alas, basketball is a business where your word only goes so far for some teams. Because of this dichotomy, I decided to take an analytical look at teams that are most loyal to their veterans. I figured the best way to judge this with an unbiased attitude was to add the minutes played of the 10 veterans who accumulated the most playing time for their organization since the turn of the century. For funsies, I also included how many opening-day head coaches each organization had in since 2000; the accumulated win-loss record from the 1999-2000 through 2018-19 seasons; the number of NBA Championships; the team mascot, also known as the vet who logged the most playing time with the squad. And wouldn’t you know it? The teams that were the most loyal to their veterans were also the teams that won the most.